Almost ten years ago (has it really been that long?) 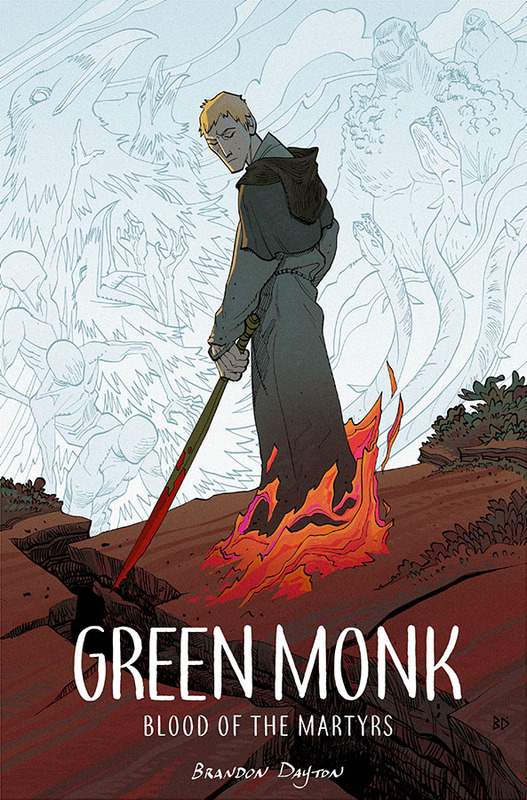 I released a little mini-comic called Green Monk. It went on to be selected for the 2011 YALSA Top Ten Great Graphic Novels For Teens Booklist. Flash forward to now. Two video game studios and two kids later I've finally expanded on the little story I started in 2009. Green Monk: Blood of the Martyrs is beginning of legend. It's the origin story of Alexey, the wandering monk and how he came to possess the Greenblade. Same character as the mini-comic, but the two stories are completely independent. It's a full-color, Trade Paperback on-sale from Image Comics this September 26th.